February – Going to be certified in Spiritual Direction! 2 weeks of prayer and study. I will be at the LA Religious Education Congress from Feb 23 to 26 – and composing with Val Jansen. March – Mission Month! March 11-15 in Antioch, CA presenting a Lenten Mission at Holy Rosary Church. Google it! And at St Mary’s in Chandler, AZ for a mission March 18-22. I go back to school for Spiritual Direction training the final week of March. April – Another (final) week of Spiritual Direction training and formation, and a possible pilgrimage to Hawaii for the Sacred Heart (SSCC) community. May – OCP Commons Video shoot in Dallas and recording a new CD for OCP! Put January 30, 2016 on your calendar! Tom will be leading a one-day retreat at the Franciscan Renewal Center (The CASA) on Saturday, January 30, 2016. We will spend time in prayer, music, silence and group discussion. in our daily living and learning to express it through the arts. All are welcome! Be nourished, be encouraged, be loved by I AM WHO AM. I hope you are well. Life is wonderful and life is challenging too. There is a great band called The Decemberists. The title of the new CD is called What A Terrible World, What A Beautiful World. The music is great, the songwriting, production etc… Its very artistic and wonderful. But that title! Wow ~ Pascal Mystery said in “layman’s” terms. The Decemberists make really, really good music. Anyway, I SHOULD be telling you about my new record in hopes that you will check it out. Please do! 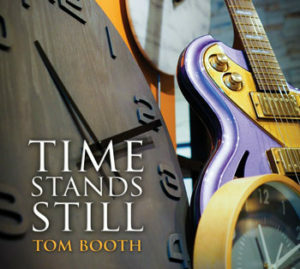 TIME STANDS STILL is getting a wonderful response from friends, fellow artists, faith communities – and even some press. You can find it on iTunes.com and SpiritandSong.com. I pray many blessings on your life. Pray for me too. musician and retreat facilitator) and his friends. with others as well as simple teachings about a contemplative way of life. is $175.00 per person. The rate includes all meals. We have a limited number of rooms. For more information, please contact RRC – phone: 520.744-3400, or toll free 866.737- 5751 or write: office@desertrenewal.org.